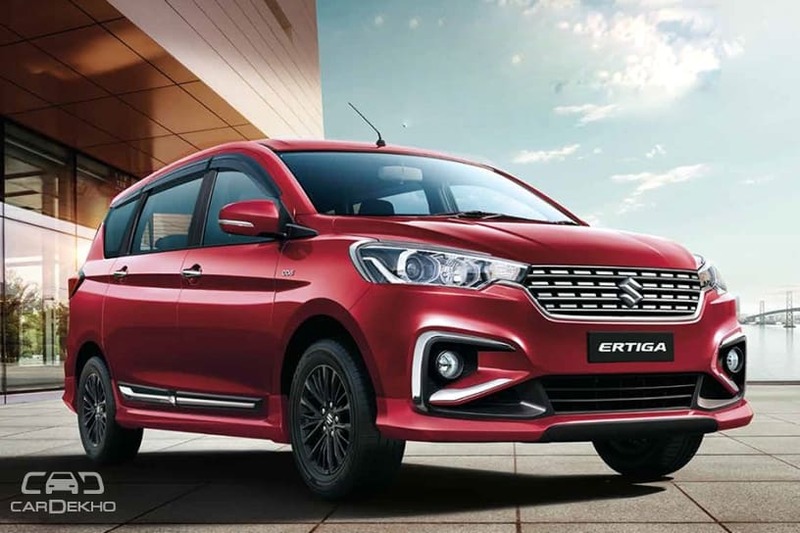 Although you get wooden inserts on the dashboard and door pads on the Z and Z+ variants of the new Ertiga, Maruti also offers maple wood inlays, which are darker than the standard panels, for the doors, illuminated sills, floor mats and boot mat. The mats are priced between Rs 1,190 to Rs 3,750. While rear parking sensors are standard, you can get an IRVM (internal rearview mirror) integrated with the reverse parking assist system to ease parking. Only the top Z+ variant, which comes equipped with the 7.0-inch SmartPlay infotainment system, gets a rear parking camera as standard, with display in the infotainment screen. Buyers can take their pick from the Multimedia infotainment units with Bass tube, Subwoofer and Speakers. This will come in handy for those not purchasing the Z+ variant and don’t want to miss out on a comprehensive audio system. A simple audio unit with basic infotainment system and speakers will set you back by nearly Rs 20,000 to Rs 50,000 depending on the add-ons like amplifier and speakers you pick. Exterior updates include window frame kit, chrome side molding, rear upper spoiler, bumper protectors. On the inside, you get bold box lining seat covers, designer mats, steering wheel cover and IRVM integrated reverse parking assist and a tissue box also thrown in the mix. For this variant, you get chrome garnish for the rear bumper, around window frames and side molding. On the inside, you get carpet mat, maple wood finish, cushions and tissue box. Prices for both the packages are not officially available at the moment. While you can get these features fitted from the aftermarket as well as these won’t void warranty, it’s notable that chrome add-ons by the manufacturer often last longer without any sign of corrosion compared to the ones offered in the aftermarket. Other car care products on offer include premium kits, vaccum cleaner, digital tyre inflator and rain repellant. Here are the detailed prices of every accessory on offer.